The river is indeed the soul of the city—it runs through the heart of downtown, and it is a vehicle for both pleasure and the industry that keeps Chicago humming. With The Chicago River, Solzman has succeeded in writing an encyclopedic work—at once guidebook and history—that explores the river’s physical character and natural history. Examining the river’s past, contemplating its present, and forecasting its future, Solzman draws on his unparalleled knowledge to point out places of scientific and historic interest—involving everything from infamous murder cases to invasive zebra mussels. The book’s 200 photographs and maps perfectly complement Solzman’s vivid prose, leading readers on a visual journey as sinuous as the river it celebrates—a journey interspersed with plenty of river lore, facts, and literary quotations. Solzman, a veteran Chicago River tour guide, has also compiled a diverse collection of easy and enjoyable tours for anyone who wants to experience the river by foot, boat, canoe, or car. And he provides an appendix that lists river-related organizations, museums, tours, and riverfront restaurants and clubs. 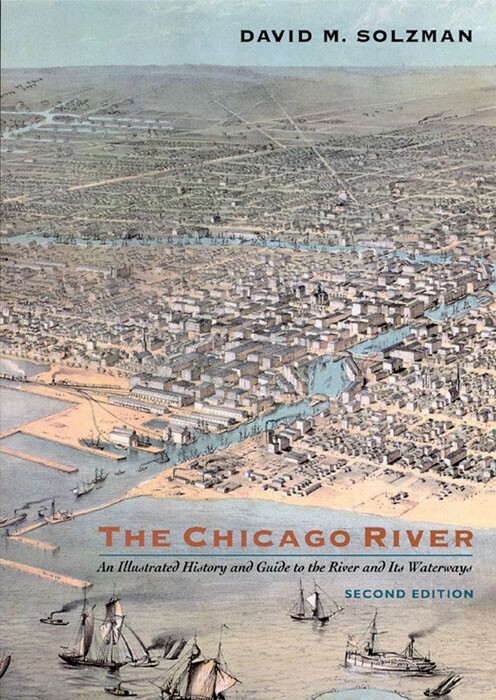 With practical tips, evocative language, and an astonishing array of anecdotes, TheChicago River is the most comprehensive guide to the river and its waterways, the perfect companion for everyone from the active river enthusiast to the armchair traveler.